i´ve downloaded the mod and got some other mods installed researched everything and cant craft those "no polution furnaces" meaning i also cant craft the belt furnace. anybody else having this issue? or know how to fix it ? ok which mods do you have installed that has a furnace or change recipes? how you cant craft them? cant you craft them because there not avaible/any massege is popping up or something else? try to start a new game, custon szenario , sandbox mode, give yourself, all exept cheat mode and check if its still doesnt has the items you need. which game version do you use? 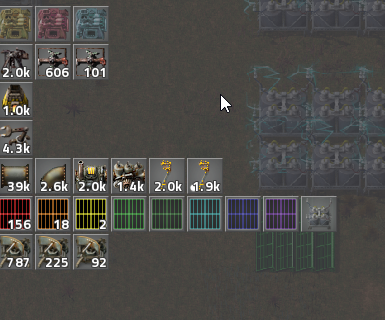 which factorio and my mod version are you usesing? Are the furnaces are no avaible to be crafted? or something other?